As our Founder Dawn works through her final pages of her second book (launching later this year) she wants to share some advance tips, techniques and trends that help her as an entrepreneur and my clients attract a steady flow of profitable customers. Many businesses falter through the lack of lead generation as they are so hung up on task driven marketing rather than results driven marketing. Its about the 'Maths of Selling' - 3 goals in business. So to be successful the objectives run deeper and should be geared around a sales funnel that generates the perfect level of leads, converts them to profitable customers whilst saving you time, effort and money. This event will show you 11 proven strategies to quickly generate and convert leads to profitable customers. 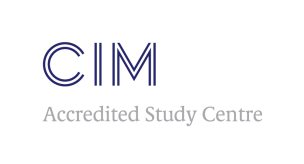 Business Consort - Digital & Social Media Academy is a multi-award winning Chartered Institute of Marketing study centre of excellence. Please don't be mistaken that this a half-day networking opportunity as this event has been designed to push you towards achieving your goals and we will be challenging the way you think and providing a new perspective on what success means to you and what that looks like. You will leave charged and ready to drive your business forward. Digital Marketing - Made Easy! "Dawn is an outstanding Digital Marketeer with vast knowledge in her field, online business and business in general. I truly recommend her services and courses as they are of vital importance for any established business or start up looking to do business in the XXI century!" "Dawn is an excellent trainer as her knowledge is extensive and she is a passionate Digital Marketer herself. She also has vast experience of working with a variety of businesses, which means she can guide you through the process of implementing a digital strategy that actually works and will help to grow your business!" Save your spot and learn more about online marketing.